Composition was a strong skill in my photography tool belt when I was in college. It attracted weekend wedding jobs, numerous awards and my first cinematography gig with CBS. My ability to artistically capture images through a lens was due to an employer who encouraged me by casting a vision for my future. Alta was a writer and a photographer who took over the management of her parent’s local camera store. When I was in high school, she hired me for my technical knowledge and ability to sell. It was her hope that I’d free up her time so she could fulfill her love of writing for the trade papers. On one particular day, she reviewed customer photo packets with me and pointed out the problems most had in composing an image. She then raved about Ansel Adams and suggested that I improve my skills to match. Once she saw that I bought into her inspiration, she asked me to enter Polaroid’s national photo competition. After winning the award for best composition, I realized Alta had casted a vision that drove my skill improvements. I owed her a good deal of thanks for investing a vision in me and inspiring me to step up to it. And, I made a mental note of how she encouraged me, which I’d like to share. Every leader can learn how to encourage their team by casting vision using four simple strategies. I was able to accept Alta’s challenge because she first pointed out what I could see and understand. The pictures in everyone’s vacation photos had no artistic value. We both saw it and could relate to each other’s perspective on the poor quality of composition. In that moment we were peers. 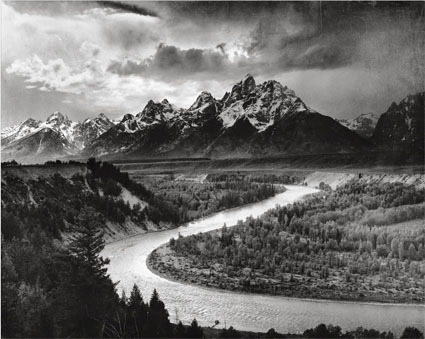 Alta then pointed out the great works of Ansel Adams, who I admired. His sense of composition was breathtaking and made the mundane look priceless. Developing similar skills promised equal benefits. I was sold on wanting to develop my eye for composition. I was given instructions to study and practice my composition for the up coming contest. Alta handed me a camera and numerous rolls of film. She only required the right to watch my development process and make suggestions along the way. After several months of intensive shooting, I came up with one perfect shot that would’ve thrilled Adams. To benefit from the process, which would help the store and give her more time to write, Alta asked me to commit to practicing and submitting my best photo. I agreed and took first place in the category of composition. It was a thrill to have my name associated (for a few weeks) with the real pros that included photographers from National Geographic, Sports Illustrated and the like. I was amazed at how a little encouragement through casting a vision impacted my life. It made me realize how much power rests in the hands of a true leader that can directly impact her company. And, its not limited to a few leaders. Every leader can encourage their team by casting a vision.